The hearings are taking place at the Suncor Community Leisure Centre and Shell Place, and will wrap up at the end of October. Canada's regulatory process isn't designed to reject tar sands projects, but Teck's Frontier Mine is so appalling the government might actually say no to it. It's the largest single tar sands project proposal ever, and so it comes with supersized impacts on climate, water, Indigenous rights, and ecosystems. It's also an economically risky project so there's the chance it would go forward, incur irreversible damages and only provide precarious labour and negligible or negative profits. It's a dramatic step away from the fairer, 100% renewable energy economy we need to be building. 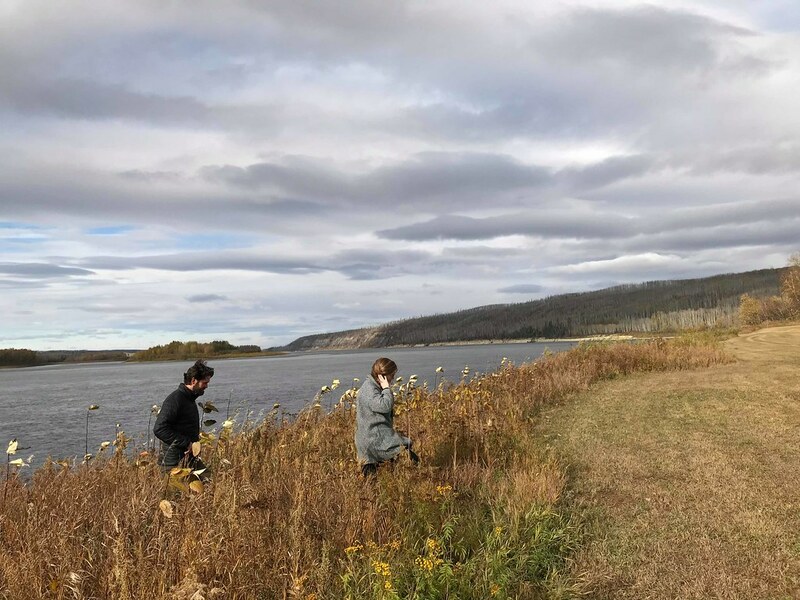 We need to use all the tools we have to try to stop Teck, so I spent this week in Fort McMurray acting as an intervenor on behalf of the Council of Canadians in the federal-provincial Joint Review Panel’s hearings for Teck's mine. If approved, the project will still need the go-ahead from the federal government, so as a back-up plan we need to start telling Trudeau now that we can't afford to build Teck's mine -- you can use this link to send him a letter. 1. We can’t build Teck and meet our provincial, federal, or international climate commitments. Teck Frontier’s emissions from production alone would be equivalent to permanently adding over a million new cars on the road, about 6 million tonnes of CO2 a year. But when you think about Teck’s emissions, you also have to consider we’re basically facing Russian nesting dolls of failure with respect to oil sands climate policies right now – the Teck mine does not fit within Alberta’s emissions cap based on the other new projects that have already been approved (the cap is supposed to be 100 million tonnes of CO2 per year, we’re on track for 131 without counting Teck), the emissions cap is already not ambitious enough to meet our 2030 federal targets without making impossible cuts to other sectors, and our 2030 federal targets are already well below what can be considered Canada’s fair share of meeting the Paris Agreement. And these dramatic overshoots of our targets don’t even include consideration of the emissions associated with combusting the oil from the tar sands, which many researchers argue should be at least partly considered because climate change is a global problem – it doesn’t care about borders. 2. It’s an uneconomic project that does not look likely to provide steady jobs, tax revenue, or even profit. Teck is estimated to have a break-even price of $80 to $140 dollars a barrel. The company has already delayed this project the past because of its poor economic outlook. High upfront investment costs for oil sands projects mean that companies will continue to operate for months even when the oil price falls below their break-even costs, as we saw during the 2014-2016 recession. Companies survived by cutting jobs and site maintenance instead of their bottom line. Unless oil prices remain high (higher than many forecasts predict they will! ), the Frontier Mine could be incurring significant long-term environmental damage and Indigenous rights violations without any steady jobs or economic benefits for the public. I don’t mean to suggest that the environmental impacts of this project would be acceptable if the project were much more profitable, because they really wouldn’t, but just to highlight that all of that damage could be for almost nothing. We could create more jobs by investing the $20 billion the project will cost in almost any other sector. As Peter McCartney of the Wilderness Committee pointed out in his presentation to the panel, the collapse in coal demand provides a good lesson for the tar sands: "Coal mines coming online in 2018 don't have anywhere to sell their product - Teck will be facing a similar world when it comes online in 2026." This isn’t a cute 5 year project, it would operate for 41 years and Teck is relying on oil demand staying high that whole time against increasing indications it will not. 3. We are all treaty people. During the hearings I listened to testimony from elders and water protectors from the Deninu K'ue First Nation, Athabasca Chipewyan First Nation, Fort McKay First Nation, and Fort McMurray First Nation amongst others. They told the panel about the many ways that the cumulative impacts of tar sands projects are already hurting their communities. 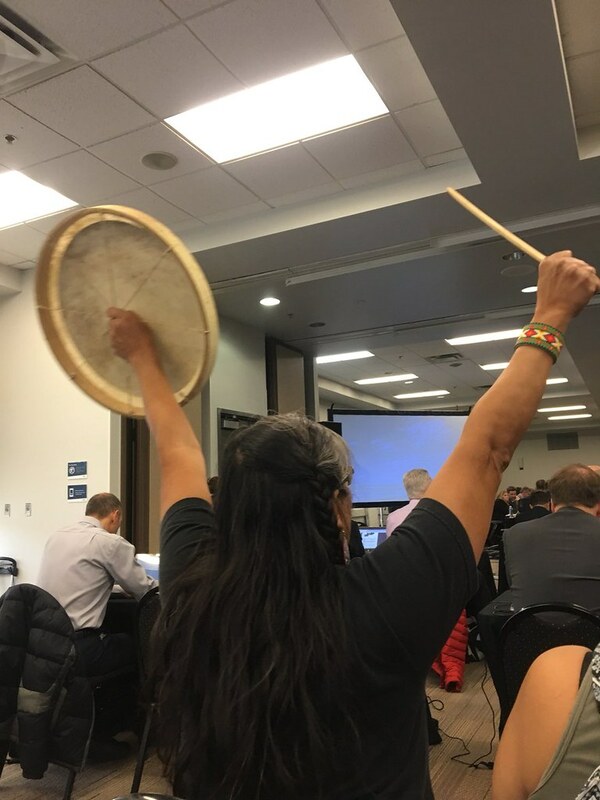 As Patrick Simon of the Deninu K'ue First Nation told the panel, “Soon, you will have Indigenous peoples from all the way up in the Arctic coming down to these hearings because the impacts of these projects are carrying so far away from the source. More money is not the answer." A member of the viewing gallery stands in support of statements on the unnacceptable impacts of fly-in fly-out workers on frontline Indigenous communities. As Violet Cheechum, a Fort McMurray First Nation Elder said, "I don't know that our land will last another 50 years unless we have some really big changes." While many of these nations' leaders have signed participation agreements with Teck for this project, some have stated they felt they had no choice because their concerns about tar sands developments have always been ignored. This is not what decolonization, reconciliation, Free, Prior, and Informed Consent, or a nation-to-nation relationship, or even basic consultation looks like. We are all treaty people and as settlers that means taking responsibility to fight for Indigenous rights to be fully upheld -- in energy project decisions but also in the courts, adoption system, schools, hospitals, and everywhere. 4. We need to be considering cumulative impacts. A cross-cutting theme to the evidence I presented was the need to fully consider these cumulative impacts in deciding if we can put even more stress on our environmental systems. The Frontier Mine is going forward in a regulatory context that has failed to adequately consider the aggregate impacts of oil sands developments. While there are significant deficiencies in federal and provincial environmental assessment processes, I argued that a diligent application of CEAA 2012 and its guidelines for assessing cumulative effects would actually still find that this project is untenable. Walking along the Athabasca river in Fort McMurray, upsteam of most tar sands development. Across the river you can see some of the forest still recovering from the 2016 wildfires. These are not the only reasons we can't afford to build Teck Frontier. We also urged the panel to consider the impacts of the project on the Peace-Athabasca watershed, the social impacts of fly-in fly-out workers, threats to the UNESCO site Wood Buffalo National Park, and the overall health of impacted ecosystem. Most of our presentation (missing the introduction when the livestream cut out), is in the video below if you want a more in-depth look. Our full written submission is also online here. 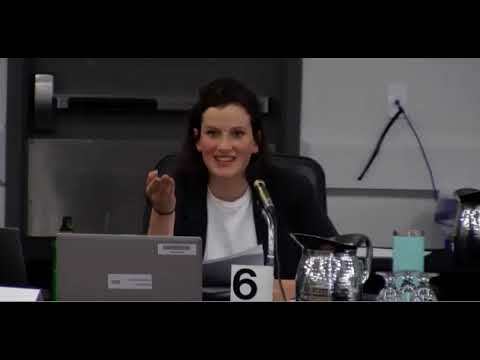 You can keep following the hearings as they unfold on Twitter under the hashtag #RejectTeck, or through the Alberta Environment Regulators' livestream here. Teck Frontier is such an extreme project we’re cautiously hopeful the panel will reject it. But we have a back-up plan too. If approved, the project will still face a decision from the federal government, so we need to start telling Trudeau NOW that we can't afford to build Teck's mine. If you have a second, please send him a letter here.